All of the staff are amazingly friendly, knowledgeable, and put in the extra effort to make you feel at home! Products are amazing and have transparent policies regarding testing and product defects. Downside is current parking, although more is soon to be added. Biggest downfall is the actual size of the dispensary as it only has 3 registers only 2 of which are commonly used (one is for pickup orders) making the wait sometimes take an hour or more. Thank you for taking the time to review us! We value your feedback and hope to improve upon this in the future. Michele and Aja were so warm, welcoming, and knowledgeable! I loved my experience with them at Trulieve! I was, frankly, nervous that I would not understand how everything worked, but they made it so so easy and I am so grateful. I feel so comfortable and happy! Love this Trulieve. We appreciate this awesome feedback Emma and we are glad to have you as a Truliever! Treated poorly by manager. Have not been back to this location since. Brian, you can tell us what happened at Customerservice@trulieve.com and we will work to resolve this incident. A relaxing store, but I waited 40mins in an empty store to be helped, I couldn't get any information on the effects of any products, and both the CBD and THC vapes I tried tasted chemical and even the CBD flared up my asthma (vaping had not been much of an issue from other dispensaries until I tried these). I was also surprised to see my ACDC CBD vape was extracted from Remedy and I assume artificially "flavored". Definitely more of the budget option, I got what I paid for. Have not tried any oral solutions yet. I had this visit back in mid 2018 (I believe it was August) and just never got around to reviewing until now. My favorite Trulieve experiences have happened here. Although there is typically a wait due to the limited dispensaries in and around the Gville area, or the specials, there are always some wonderful people, the staff is cool and fully knowledgeable of questions and products. One girl was keeping up with inventory in her head it seemed. Impressive place and the best part may be running into one of the guys from Sunshine Cannabis, which somehow happened the 3 random visits I've made up there. Mr. Cannabus! We love reading your feedback. We are glad you have had awesome visits to this location! As always my Trulieve experience was great! I would like to recognize Michelle, Genesis and the awesome security guard Kelly. Vandy was helpful as always as well. 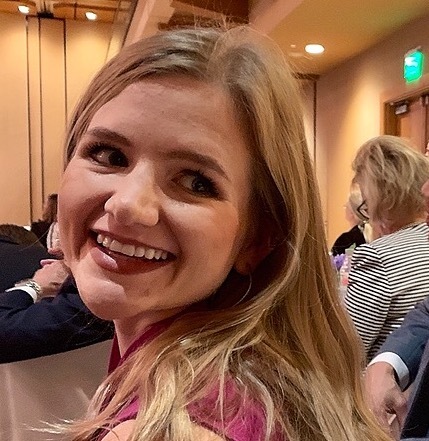 Also Trulieves social media person Emily Woods she is such an asset to Trulieve and amazing resource for patients on social media. I drive from near Jax to Gainesville just for the experience and the people. Thank you Trulieve! 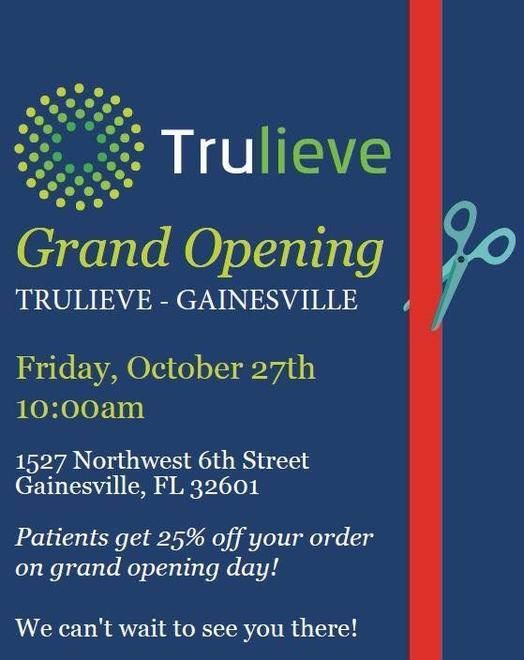 Gainesville Trulieve the best dispensary in the state! Samabate, that is truly amazing to hear. We are glad we made you feel this way and hope to hear of your continued success in the future. Thanks for being a Truliever! We love you too Mday, thanks for being a Truliever! We appreciate the feedback! Make sure to follow us on social media or sign up for our text updates to catch our sale days! Awesome service. Everyone is always super friendly and helpful. Dog friendly a plus. 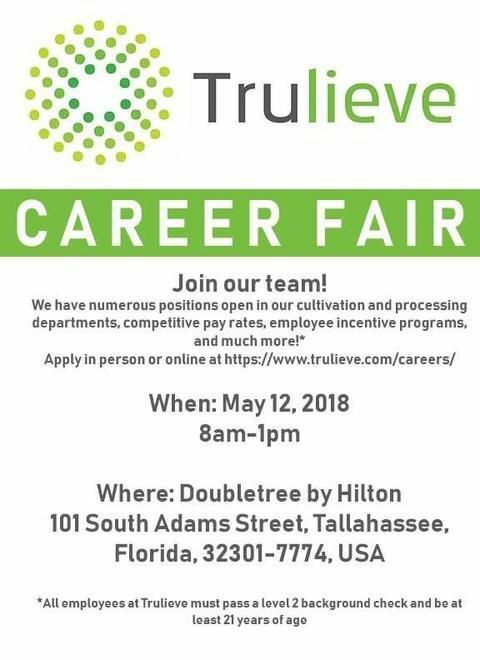 I highly recommend Gainesville Trulieve to everyone. We appreciate that feedback! Thank you! This is the only dispensary that I use. I drive 45 miles one way because they're worth it. I could name off everyone that I love there bit go stop in for yourself. Great rapport and confidentiality between patient and reps.
We appreciate that you make that trip just to come see us and also thanks for the positive review.